BLOOMINGTON, Ind. 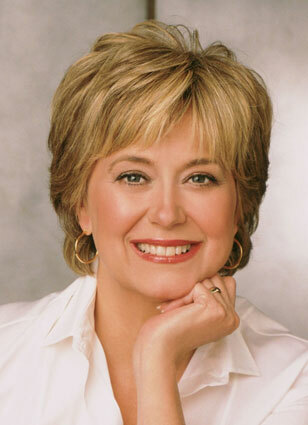 -- Three nationally recognized authorities on issues facing K-12 education will participate in an Aug. 17 panel discussion on the future of teacher education moderated by Indiana University alumna and broadcaster Jane Pauley. "The intellectual and economic health of our nation is inextricably tied to the success of our K-12 educational system," said IU Trustee Bruce Cole, who organized the panel discussion on behalf of the university's Board of Trustees. "Universities such as IU can play an important role in strengthening our schools to best prepare the next generation of teachers and more closely align education to meet the needs of the national and global marketplace. "As stewards of one of the country's leading public universities, which trains many Hoosier teachers, the trustees feel it is important to keep current on this important issue, and we are fortunate that three of the leading thinkers on K-12 education have graciously agreed to share their expertise with the board and our guests in a panel moderated by Jane Pauley." Panelists are Arthur Levine, president of the Woodrow Wilson National Fellowship Foundation; David M. Steiner, dean of the School of Education at Hunter College; and Sandra Stotsky, professor of education reform at the University of Arkansas, Fayetteville. Pauley is a member of the board of directors of Indianapolis-based The Mind Trust, which is dedicated to improving public education for underserved children by empowering education entrepreneurs to develop or expand transformative education initiatives. WHAT: Panel discussion on the future of K-12 education, held as part of the August meeting of the Indiana University Board of Trustees. An agenda for the trustees' meeting is available. WHEN: 9 to 11 a.m. Friday, Aug. 17. WHERE: Auditorium of the University Place Conference Center on the campus of Indiana University-Purdue University Indianapolis, 850 W. Michigan St.
MORE: The discussion is open to the public. For more information, contact Ryan Piurek, director of news and media for IU Communications, at rpiurek@iu.edu or 812-855-5393.